Star Wars Galaxy’s Edge is just months away from opening at Disney Hollywood Studios. Mickey’s Runaway Railway will follow shortly thereafter. We have already seen the opening of Toy Story Land and most recently the opening of a new Lightning McQueen show. Disney Hollywood Studios has become a hotbed of new and exciting attractions. But there is another virtually unknown attraction that is already open; an exclusive bespoke experience that is very low capacity but has the ability to make you feel like a true star. 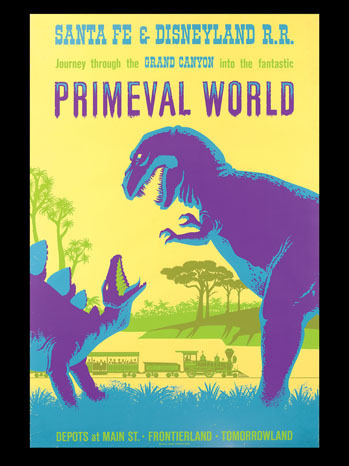 In fact this attraction has an insane cast member to guest ratio of up to 5:1, that’s right, five cast members for every one guest… it’s crazy! I present you with the amazing yet totally under the radar (this is likely the first time you have ever heard of it) Disney Hollywood Studios Clap Box! What exactly is the Clap Box and how does it work? It has very low construction costs, the entire attraction can be assembled and disassembled multiple times a day and it costs mere pennies. All that is required is a roll of tape, some roaming cast members and someone willing to put them to the test. Jumping back into the box the clapping promptly resumed. OK, this was interesting. I stayed in the box and the clapping continued. At first I squatted down to be more comfortable but then felt a little silly so I stood up and struck a pose. The original cast member called for reinforcements and soon there were several cast members forming a semi-circle around me, all clapping away. Confused guests tried to pass by, some diverting their path to avoid interrupting the box with others looking on amused. The clapping went on for a minute or two before Shane realized that a stand off was going down and started filming the showdown. I stood my ground statue-like, the CMs clapped away, guests continued to be unsure if this was some sort of sanctioned show or just an idiot standing in a box (it was the later). I was prepared to stay indefinitely but after a couple more minutes in the box I gave in, I was only in town for a very brief period of time and I wanted to spend it with my friend, not stubbornly standing in a box for no apparent reason. 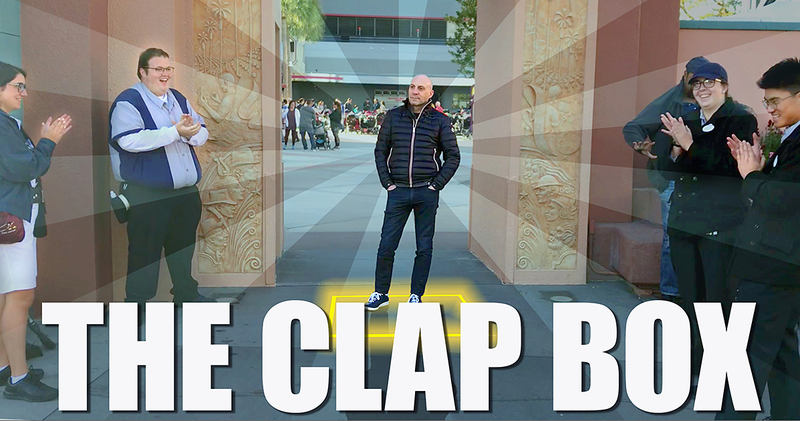 Still, and I mean this in all sincerity, my time in the Clap Box was the most fun I had in the park that day… certainly more entertaining than the Slinky Dog ride or riding Star Tours for the 856thtime. Is this an official attraction? Unlikely. Is it how management wants cast members spending their time? Who knows? But it is surprisingly entertaining, silly and confusing in the best possible way. Take it from us, we have experience with this kind of stuff! This entry was posted in Disney Theme Park Hidden Secrets, Theme Park Life and tagged Clap Box, Disney Hollywood Studios, Secret, Secret Attraction. Bookmark the permalink. Living The Dream Part Three: GET OUT! By any chance, did you see the old Simpsons episode where they went to Australia? They were at the US Embassy and Homer kept stepping back and forth over the line separating Australia and US territory until the Marine guard punched him. You should’ve done that. There is a Simpsons epsiode to cover EVERYTHING… and now part of the Disney family to boot.